Theorist: Bonnie W. Battey, Ph.D., R.N. Humanizing Nursing Communication Theory and its companion theory, Ethics of Humanizing Nursing Communication, by B. W. Battey (aka B. W. Duldt) were developed to bring into nursing the knowledge base of the Communication and Human Relations discipline. The theories are believed to be consistent with holistic and humanistic theoretical paradigms. They are designed to be used in conjunction with other theories to not only facilitate compassionate care, but also support an awareness of the range of patterns and attitudes one may choose to use in positive as well as unpleasant relationships. 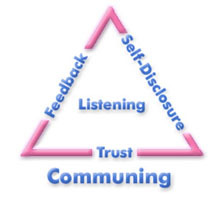 These theories emphasize the interpersonal relationships between the nurse, patient, peers and colleagues. Two tools have been developed to conduct research based on these theories: the Nursing Communication Observation Tool (NCOT) and the Job-Satisfaction- Communication-Importance (JSCI).